Reggae veteran Susan Cadogan has given us the privilege to interview her during her trip to England as performing at the Ritz Brixton this month for 'Catch a fire event' Susan has brought us this jewel of a song in the 70's "Hurt so good" and can give the new reggae generation some great advice when it comes to becoming a reggae artist. Susan please reminisce and give us your most precious memory of a performance back in the 70's? That seems like forever ago! Back then I was very shy. I had never performed live either on a stage show nor on TV. I remember not having contact lenses and singing at BBC Top of the Pops without being able to see well. I Just saw this blur of bobbing heads as the teenagers danced while I sang. I remember just losing myself in the song and pretending I was at home singing in front of my stereo...as I usually did in the evenings pretending I was on stage. How do you think reggae has evolved since them? Tell us who is your current favourite reggae artist? What are your thoughts on the new worldwide generation of reggae music? Reggae music is now all over the world. It has crept into the music of many famous international artists. Some may think they are taking the music away from Jamaica but to me people love it and are embracing it and we should be proud and happy to own a beat so loved. Young people everywhere know reggae and love it, roots, rock. I think more Jamaican artists should try to get out there and take it to the world while owning it. They have to keep on pushing. Nothing comes to you, you have to go and get it. And your former little favourite when you were rising in the reggae scene? Who used to be your reggae ideal? Music has been rough for most Jamaican artists who get big international hits and not get paid. I had a quick rise to fame as my second recording became a big hit 'Hurt so good' and I wasn't paid... Back in the day, I greatly admired Dennis Brown. What a beautiful voice he had, hardly any other singer from back then who did well, took reggae to the four corners of the world like Robert Marley, who one could call ideal. Describe in 3 words what reggae has done for your throughout your life? Is it all about experience and practice to be able to evolve in the music industry? It is always good to do better and grow in your work in all aspects of life. In music, both in the studio and on stage, practice and being experienced plays a big part. The more stage work you do, the more comfortable and experienced you get and the more you sing, the more you feel self-assured and not afraid to expose your emotions. The more experienced you are and the more you practice, better you will become. You do not succeed by taking things for granted. Your songs talk a lot about love, give us your definition of love and how it influenced your music? What is love? I think love is caring so much for another that you put their happiness before your own. You just want to be with them and make them happy and in turn it makes you happy!! Love is so many things. It really is the language of music. ”Love is in the music and music is in love” That is a song I wrote some years ago! The world is filled with so many people who are hurt by love and who are in love, the best thing to sing about is love! I do sing some more conscious songs and have written a few too but my voice fits the love songs and they make me so happy, so I sing mostly love songs. Lover's Rock is my most known style. What do you want to bring to reggae music that you still have not brought? Just to use it to bring peace, love and harmony amongst people. Music is a powerful tool, it speaks to all emotions, it can help the troubled mind, soothe, encourage and make sad people happy. heal a reckless world. I am always so happy when people tell me how my music has helped them through tough time. Such a satisfaction it gives. What more can one bring to the music but their honesty, heart and soul?. I seek no fame and will never make a fortune from it, but my happiness is deep, so I give thanks. What was your most daring moment in your career as a singer? I am not sure what you mean but I think the music industry is a daring industry on the whole. There are so many challenges and low points... Sometimes I feel the only good thing about it, is the music itself. I guess it's just very daring of me to take to the stage like I am 25 instead of 66! It was a challenging time for me when back in 1975 Trojan forced me to sign an “X” on a contract that I did not want to sign. I have had a lot of rough times in this business, gained little but I love music so much, it just gives me life and energy. Any advice for emerging reggae artist? Music is not about fame and fortune, it is not a glamorous life. If your heart is not really in the music, don't bother because it breaks you more than it makes you. Keep good people around you who really have your back and be ready for disappointments as well as great times, hard work and sometimes little in return. Give us an idiom you live by? What song reflect your life best? I have never sung this but I really like the song that says.”what took me so long, I just realized my stumbling blocks were my stepping stones” by a singer named Jo Armstead. What is the message you would like to give to the world across your music? That all we need is love. Love and world peace. If you had the power of time traveling, tell us one thing you would have done differently? I would have stuck more with my music career instead of stopping and starting, learnt the business and fought those who cheated me. I love the music and the freedom you feel on a stage, at this age I just feel free! I really do appreciate all the people who supported me! I love them too and I am also in love with a wonderful man!! I strive to keep my private life out of my music life. Give thanks always. What career would you embrace if not music? I suppose I would work in a library as I have done for so many, many years in my life..that's all I've ever done apart from singing. Give us one piece of wisdom to succeed our lives. Be kind and trustworthy and do everything the best you can! If you cant give 100% best not do it at all! I thank them with all my heart for keeping my music alive and in their hearts! Keep on loving the reggae music and be happy! Love and music will help you through the good and bad days. One big love always to them wherever they may be in this wide world. Love is IN the music and Music IS in love!! From our short exchange, I clearly perceived Susan's good soul, she is truly a lovely woman, with a loving and positive message to the world. Her energy is contagious and it was a pleasure to have had those beautiful and uplifting answers from her. Moreover, we can never forget this sensual voice and this natural afro hair style which adorned Susan beautiful face for years, her classy 70's style and trust me nowadays she looks as full of life as ever, she has matured like wine. 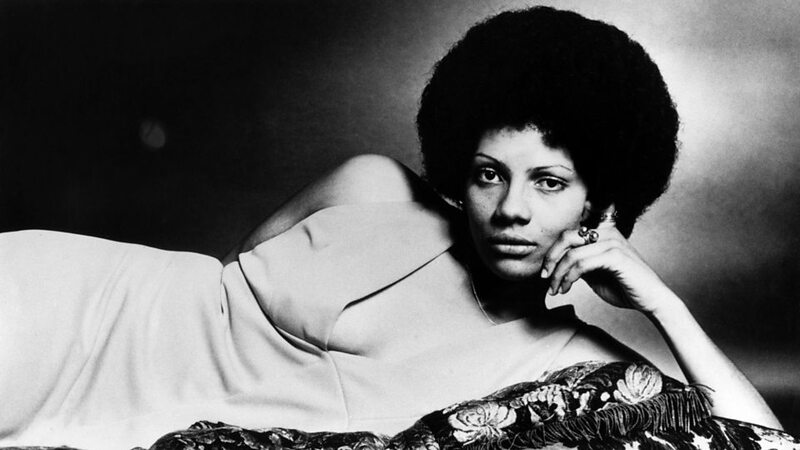 A lovely soul is Susan Cadogan, if you never come across her music, it is time to do so!